Interested to know which fashion and beauty trends are shaping 2017? To make sure you don’t fall victim to any style casualty, we’ve crunched through our data to present to you a well ordered list of the best-selling products for each quarter. 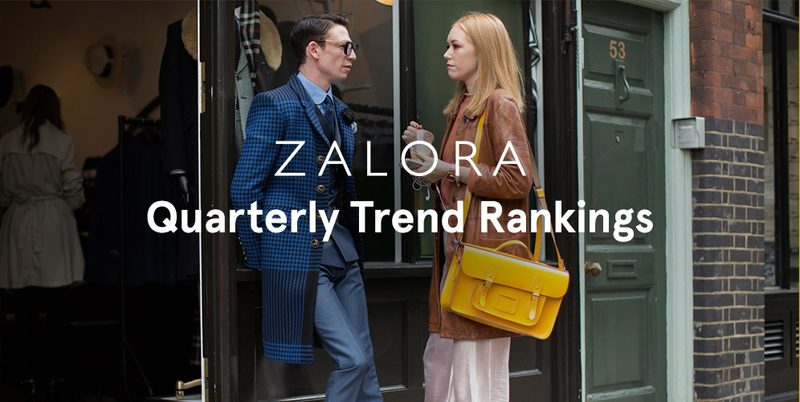 Let our up-to-date rankings guide you towards making this year, your most fashionable year ever. With the third quarter teaching us that letting loose and keeping a chill vibe is key to being current. A relaxed, boho vibe has taken over little fashionistas like those tassel earrings and our major obsession with Birkenstock footwear, along with a mixture of our forever basics. Though summer may be over, the endless-summer trend had truly just begun. With the emergence of trends like mule sandals and slides or having extra detail in your outfits like pom poms and bell sleeves, summer is all about feminine style in comfort. Warm weather staples with an extra flare. Collars lead the charge this season, from polo shirts dresses and polo dresses to button down tops. For the first quarter, we see fashion pulling away from fleeting trends and steering towards classic pieces that never go out of style. Thanks to modern day celebrity influencers and old fashioned makeup must-haves, we’ve come to get a close look at the five best selling beauty products of 2017. Let’s check out what are the top beauty products that have made it into the list this year. Menswear is about function and rationality, traits that our current best sellers for this season have, as dictated by the buyers who love the highly sought-after products. They may not follow certain trends, but these timeless pieces will remain in style, virtually forever; the basics never die out. From Air Force 1’s to smart casual shoes, it seems that male shoppers this quarter have been scoring the essentials. Men are unapologetically simple when it comes to fashion -- and our data suggests just that. This quarter’s top selling men’s products reflect every man’s need for comfort and flexibility through a well curated list of basic fashion essentials.